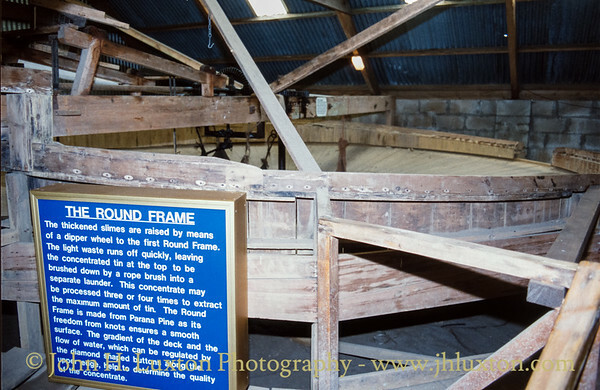 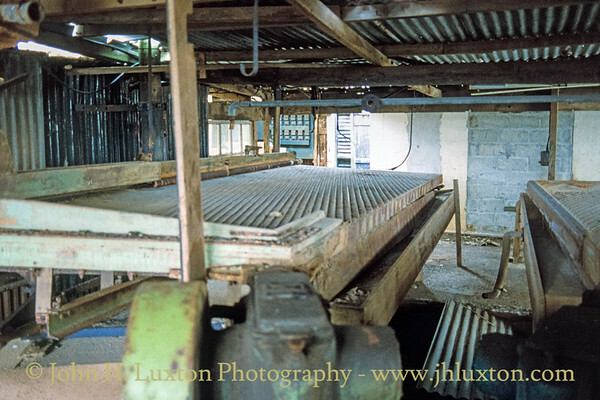 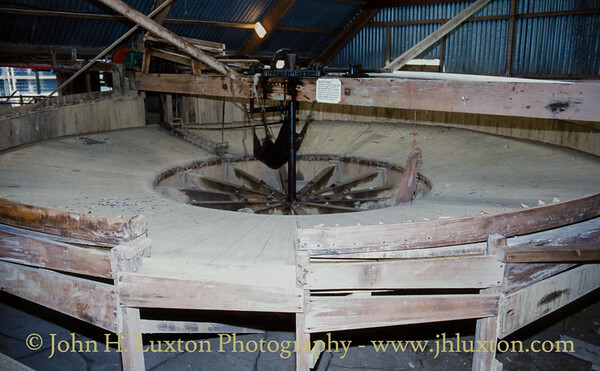 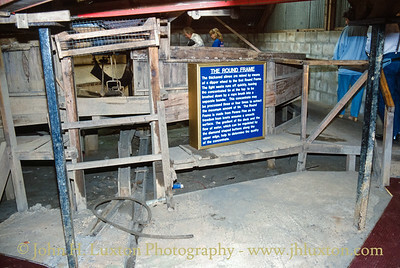 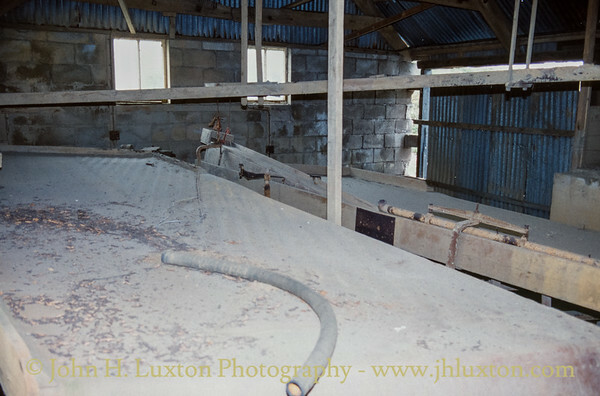 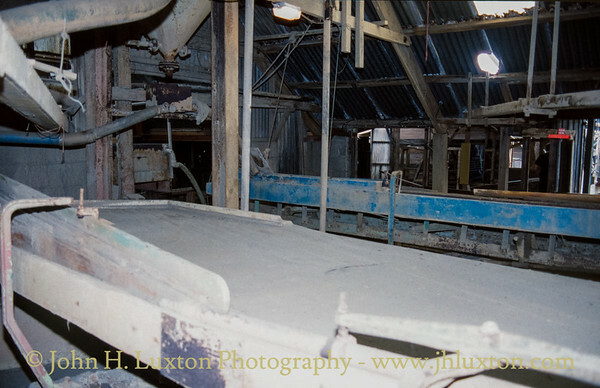 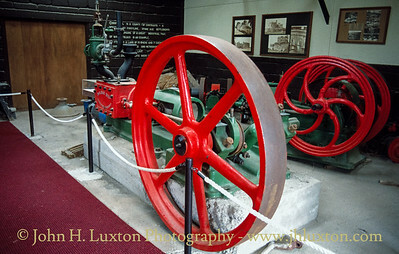 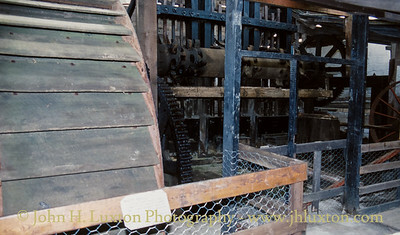 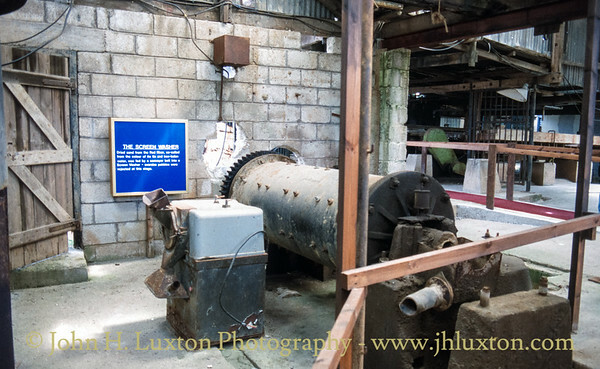 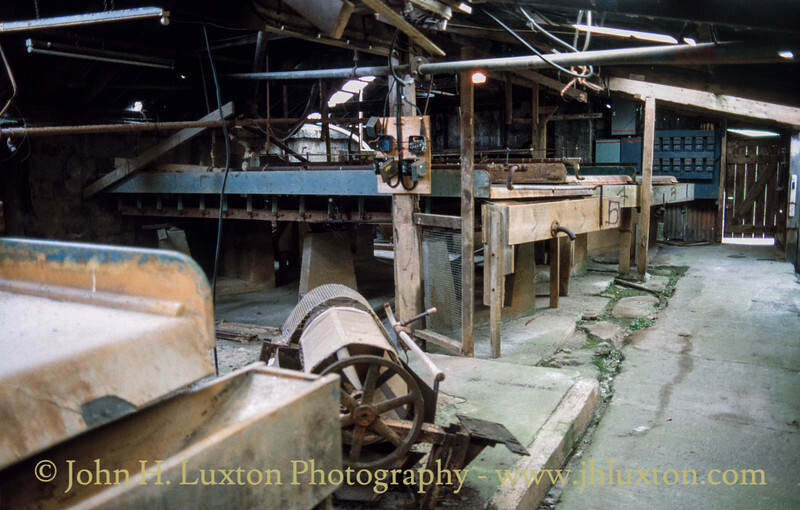 Wilfley tables used for separating the tin ore. 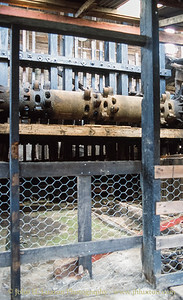 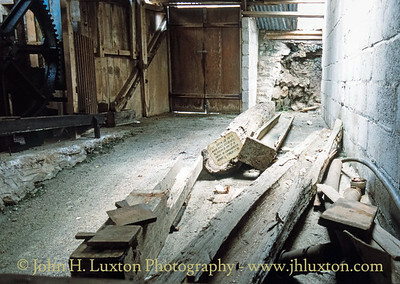 Wooden drainage pipes (circa 1770) removed from a shaft in Carharrick Mine. 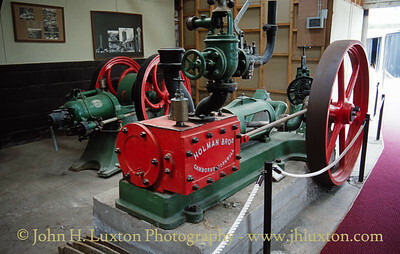 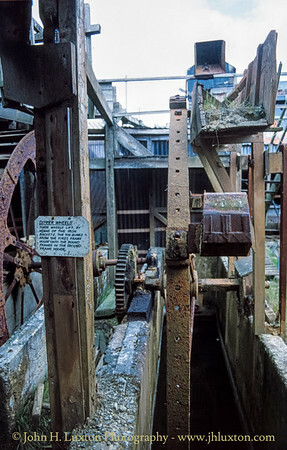 Cornish Stamps - Tolgus is thought to have the only full set of Cornish Stamps remaining in existence, they were powered by the waterwheel on the left. 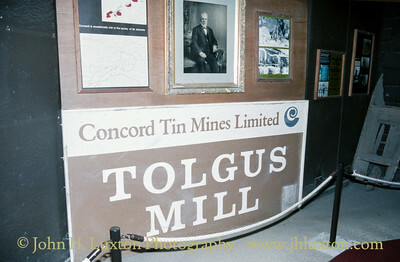 Cornish Stamps - Tolgus is thought to have the only full set of Cornish Stamps remaining in existence. 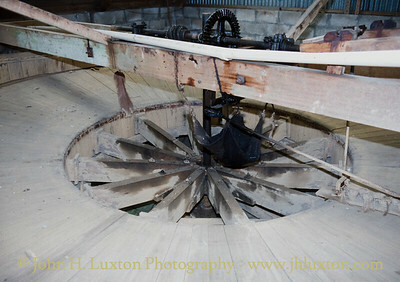 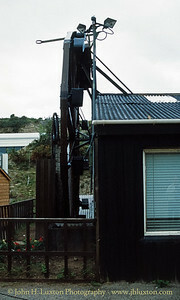 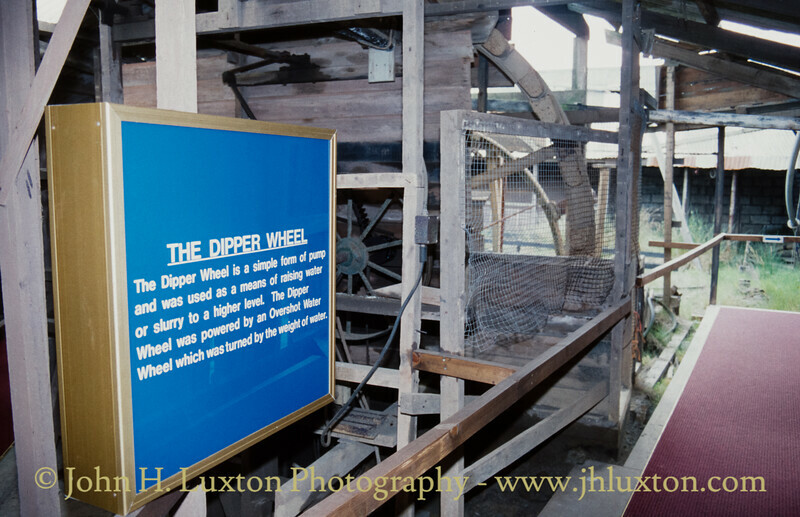 Dipper wheels used for raising the tin slimes.